Before leaving the plant, the typical Haas CNC machine is subjected to more than 300 quality control tests, including hours of actual running time. In fact, whenever a machine is not physically being worked on, it is running pre-programmed tasks to check operational tolerances and performance parameters. Schedule an appointment today to see Haas Automation machines in action at your local Haas Factory Outlet - MALAYSIA. 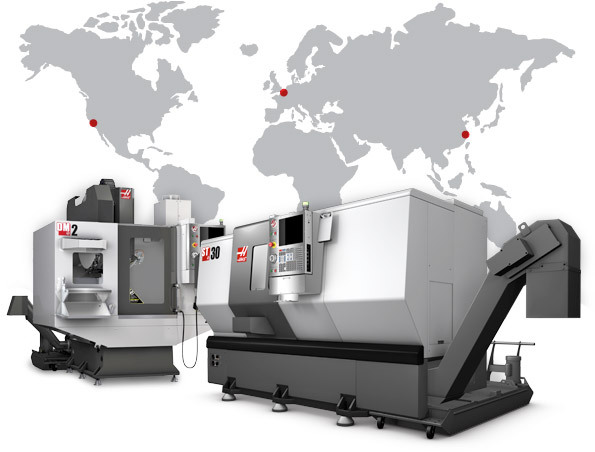 Haas Factory Outlet is defined not only by its machining centers but by its outstanding service and applications. Because we are a factory direct distributor we carry replacement parts for next day delivery and a fleet of fully stocked service trucks providing installation and ongoing service. Our Application Engineers have the experience to help you select the best Haas product for your application and provide turnkey solutions and training. Robo CNC Sdn. Bhd. was established to provide Haas Automation CNC machine tools in Malaysia. Our mission is to provide the best solutions for fulfilling the requirements of metalworking companies throughout the Country of Malaysia area. We provide these solutions by delivering the highest quality equipment, and offering service that is always on time and to the highest level of competence. We constantly seek new and better ways to fulfill the needs of our customers and provide complete satisfaction. The professionalism of our team is the key component to providing our customers with an ongoing competitive advantage.